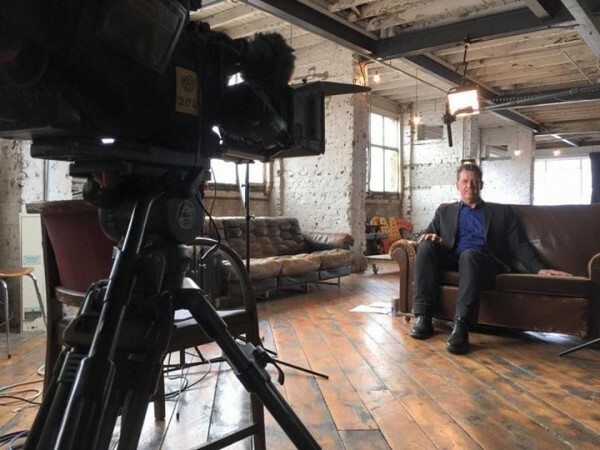 Performing to camera, or being interviewed, is never easy, but like writing an article that captures and simplifies the essence of a complicated story, the result is rewarding and the process exhilarating. Thus, my media archives include an assortment of documentaries, movies and video, in addition to print. I hope you find them both enjoyable and useful. Look for a showreel coming soon. 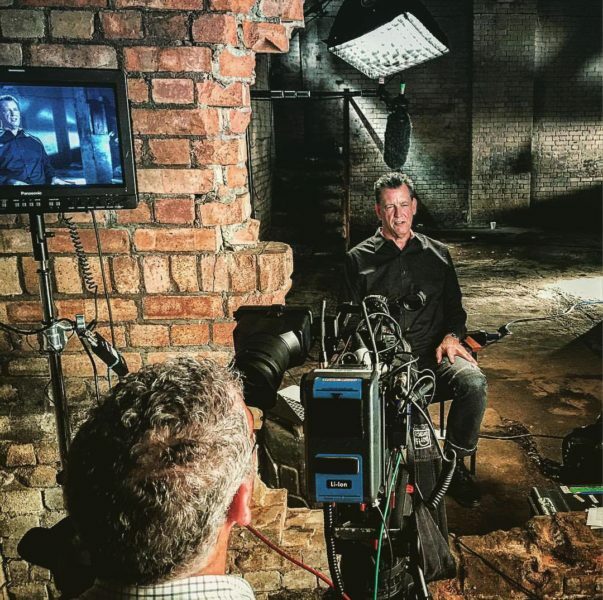 If you are not tired of seeing me on your favorite history channel by now then you may be soon. 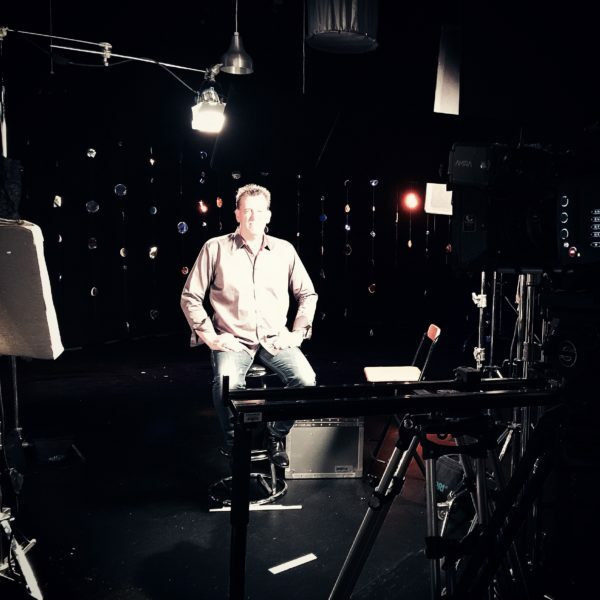 Look for me on over 100 episodes of new and exciting history and mystery programs. Please see the briefs below for details. 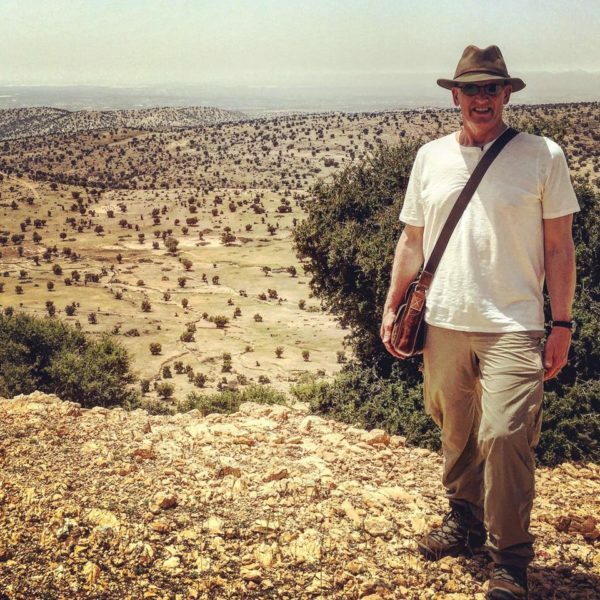 I recently had the opportunity to return to Agadir, a city along Morocco’s southern Atlantic coast, in the foothills of the Anti-Atlas Mountains. The region fits the physical criteria of Plato’s Atlantis in surprisingly accurate fashion, as I had highlighted the year before for the documentary, ‘Mysteries of the Missing’, hosted by Terry O’Quinn, for the Science Channel. 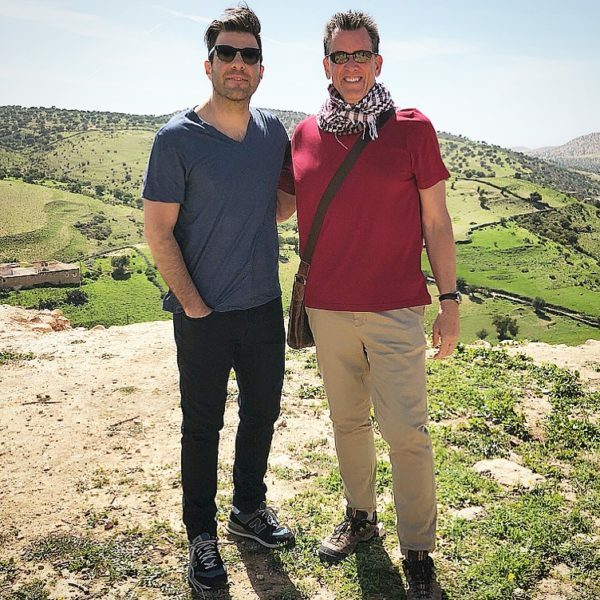 On this occasion, I had the honour to show Zachary Quinto around, for the ‘Atlantis’ episode of the re-launched ‘In Search Of’ show on the History channel. I was a big fan of the original, hosted by Leonard Nimoy, and had admired Zachary’s work for some time. 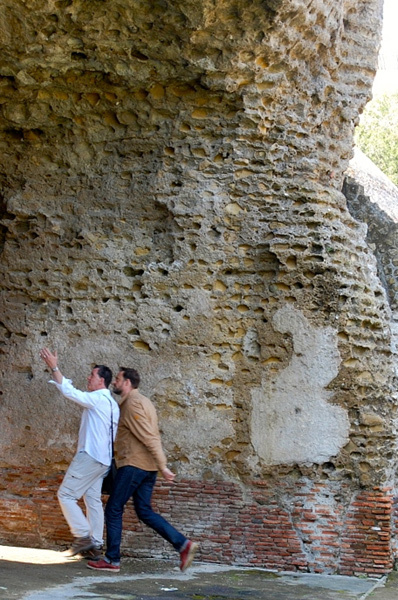 We gelled well, and episode succeeds in illustrating the remarkable likeness that the sites in the area have in common with Plato’s Atlantis. Watch it now on the History Channel. With Zachary, after a long day of filming in Atlantis. I am thrilled to be back for Season 4 of this popular show. This year’s episodes are even more fascinating than before, and include Shawshank Prison / Ohio State Reformatory, the post-apocalyptic Villa Epecuén in Argentina, the haunting site of Craco, Italy, the remarkable tale of Henry Ford and Nuttallburg, West Virginia, and the intriguing legend of Owl Mountains, Poland, amongst many others. Look for the new series in late 2018 / early 2019. 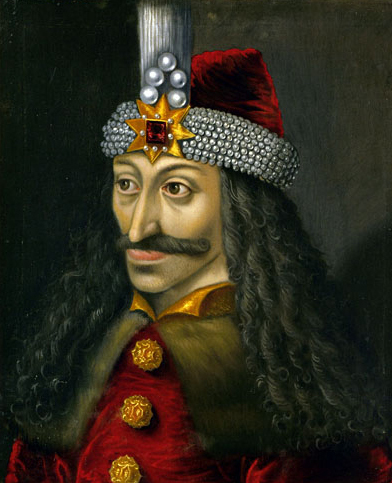 I’m grateful to have contributed to this popular Science Channel show since its inception, and am especially excited about this series as I get to travel to the far reaches of Europe in search of everything from evidence of King Arthur and the Round Table in Scotland, to the tomb of Vlad the Impaler (Dracula) in Romania. 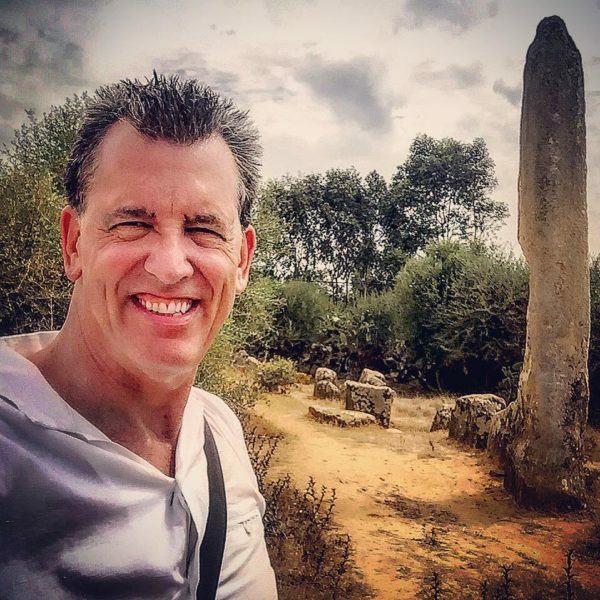 I also travel to Morocco to explore what may be the oldest and most important stone circle in the world. Perhaps most fascinatingly of all, I travel to Yorkshire to investigate legends of Zombies. I write about the remarkable and apparently true account here. Do seek these episodes out if you have not already seen them, for they are riveting, and were awfully fun to film. I also contribute to a plethora of other episodes, as a subject area expert. At Mzoura, an archaeological site in northern Morocco that may be the oldest and most important stonce circle in the world. It’s easy to forget how close Nazi Germany came to victory. In this new historical documentary, I contribute to episodes about a variety of lesser known aspects of the war, and the Nazi mind set. How close was Germany to invading America? What technology were they about to deploy? What if they had won? These are just a few of the questions that the show addresses. Look for Nazi Victory first on the UK YESTERDAY Channel, early in 2018. Appearing in each episode and series of Forbidden History has been a hoot, and series 5 may be the most controversial yet. 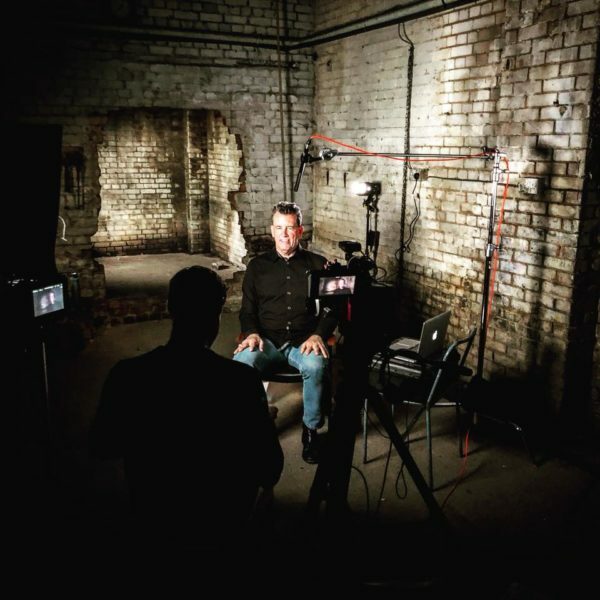 In the new series we examine The Historical Jesus Mystery, The Dead Sea Scrolls Conspiracy, Behind the Berlin Wall, The Real James Bond, The Nazi Treasure Quest and The Shadow Men. 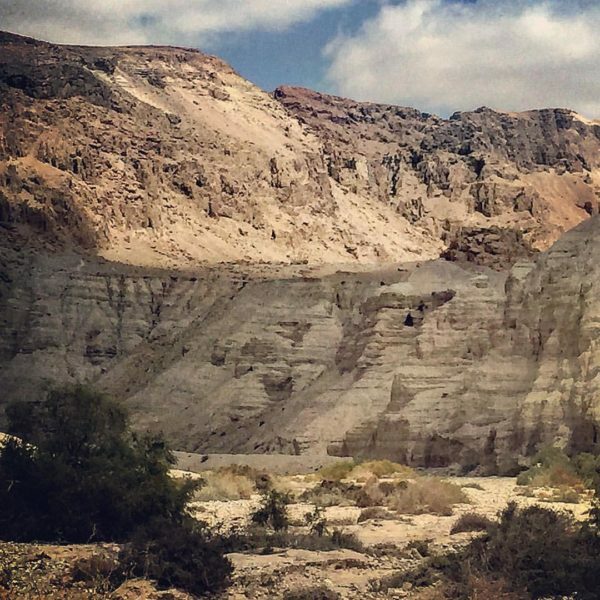 I prepped for the show on a recent trip to Jerusalem, including a visit to Qumran, where the Dead Sea Scrolls were discovered. 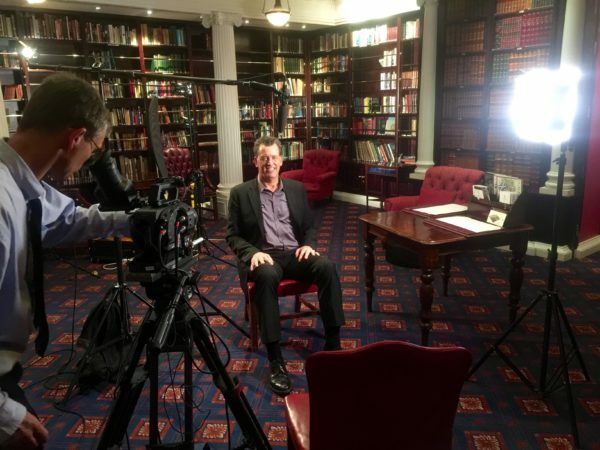 Look for Forbidden History Series 5 in the Spring of 2018, first on the UK YESTERDAY Channel. Ancient Qumran. The cave where the first Dead Sea Scrolls were discovered is shown with the triangle entrance right-centre. I am thrilled to contribute to this fascinating new series, presented by Emmy-winning actor Terry O’Quinn, who of course stared in “Lost”, one of my favourite shows of all-time. The Science Channel describes it best: “In a modern world full of surveillance cameras, GPS and data tracking, it seems impossible that something or someone could simply disappear. 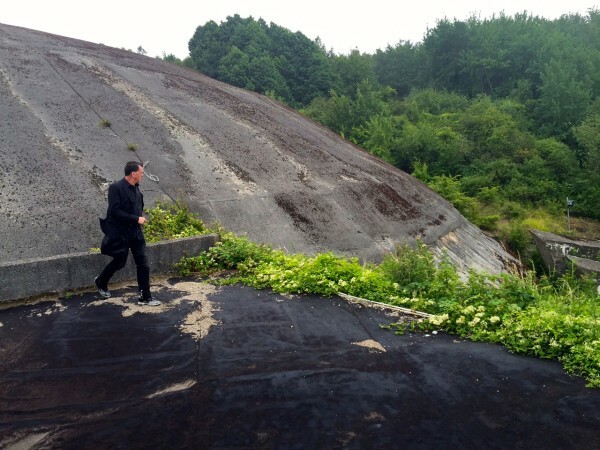 But ships, planes, people and even places continue to vanish every year, without explanation. How can something so closely monitored, like Malaysian Airlines Flight 370 — the biggest aviation mystery of the 21st century, and the subject of the premiere episode — simply vanish? Other episodes detail Alcatraz escapees in 1962, “The Lost Colony” in 16th-century North Carolina, and the notorious Bermuda triangle.” My favourite, however, is the Atlantis episode, where I travel to deepest darkest Morocco to examine the impressive if not audacious research of the German scientist Michael Hübner, who proposed that Atlantis was situated at the Atlantic end of the Sous-Massa-Draa valley. Standing on what may be the outer concentric circle of Atlantis. As the saying goes – they probably seemed like good ideas at the time. The world is peppered with examples of incredible engineering projects and buildings designed to make life easier for those that used them, amaze those that came to see them, and make money for those that ordered, designed and built them. They were the stuff of dreams. In this fascinating new series, I examine a variety of abandoned sites, such as the Nazi ‘Holiday Camp’ in Prora Germany, New York’s High Line, the SS Oriskany in Florida and the Foreshore Freeway, Cape Town South Africa – all abandoned and seemingly useless constructions that have been given new vibrant leases of life. Look for Abandoned Engineering on Discover Science in early 2017. 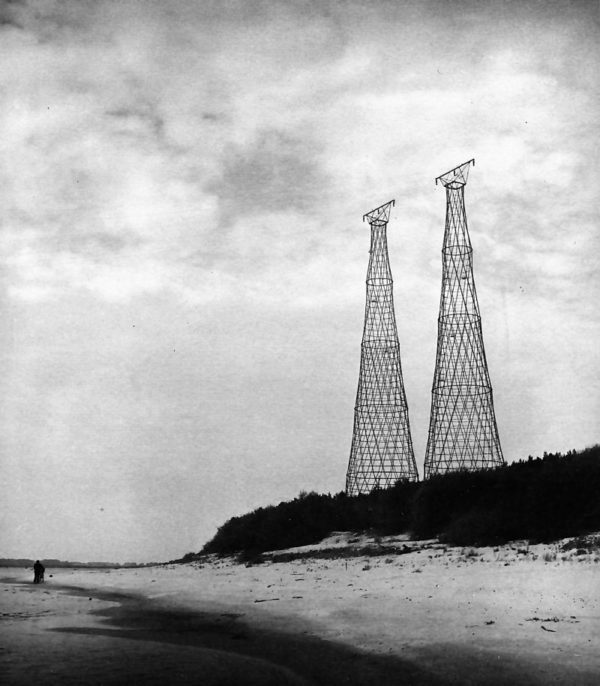 Russia’s The Shukhov Tower. © Igor Kazus. Countless mysterious objects have been caught on camera by NASA. And many mysteries have been logged that have never been explained, until now. In this popular show, I present on a plethora of topics, including the curious case of the British naval officer and Arctic explorer who discovers a remote arctic Inuit tribe in Greenland. To his amazement the tribe are using iron tools and hunting weapons – they’ve even fashioned knives and forks out of the rare metal. 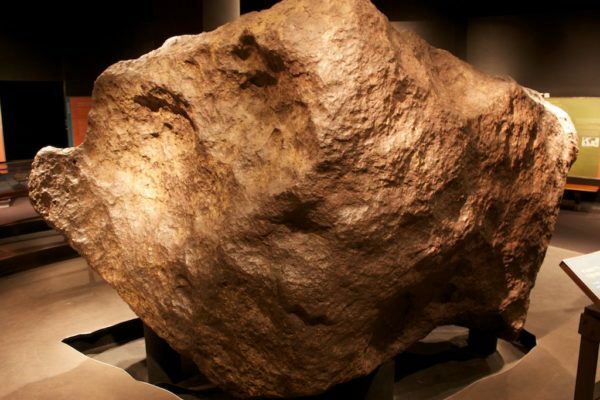 Thanks to NASA, we learn that the source of their metal was a meteorite. Watch the latest series of NASA’s Unexplained Mysteries on the U.S. Science Channel in early 2017. One of the meteorite fragments mined by the Inuit, now in the American Museum of Natural History. It’s back. 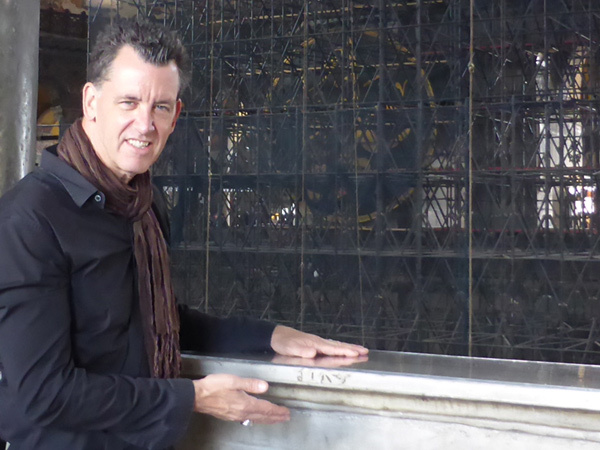 Series 4 returns with more sensational topics and locations, including an episode that I film with host Jamie Theakston in Rome, entitled ‘Secrets of the Vatican’. Look for FH4 on the Yesterday Channel in the UK and the American Heroes Channel (AHC) in the U.S. and other history channels worldwide. In a Mithraeum, beneath a basilica in Rome. What does this have to do with Secrets of the Vatican? Tune in to FH4 and find out. 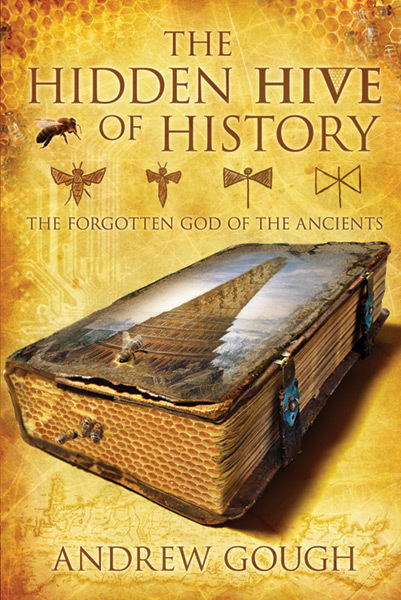 Ancient Top 10 is a fast paced new series that examines, as the title suggests, the Top 10 features of a genre, category or place, such as Ancient Egypt. Look for Top 10 on the U.S. Discovery Channel and other history channels in your region. 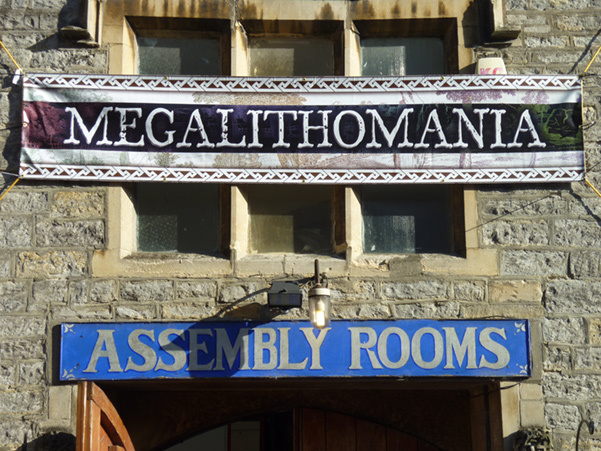 In the latest series of the popular show, I examine a selection of bizarre phenomena with the help of journalists, geophysicists, archaeologists, crime scene investigators and other experts. The series travels to Vietnam, Peru and to the middle of the ocean this season to get to the bottom of images caught on camera by hundreds of eyes in the sky that range from seemingly odd geological occurrences and strange man-made structures to chance sightings of the unexplained. In this brand new series I examine the mysteries and historical oddities of World War One and World War Two. This fascinating new documentary reveals the truth about many previously kept secrets and conspiracies. Look for it on the UK Yesterday Channel, and other history channels in your region. From Ancient Greece to marauding Viking hordes, rulers and conquerors have always needed elite combat troops. Each episode of Ancient Assassins illustrates the tactics of these highly trained killers, skilled to perfection in a variety of lethal arts—even going so far as to mimic movements of wild animals. Series 2 of Ancient Assassins is out now and is even better than the first series, with episodes on Vlad The Impaler, Beautiful Samurai, Rome’s Navy Seals, and many more. Look for Ancient Assassins on the American Heroes Channel (AHC) in the U.S. and other history channels worldwide. Next up is Series 2 of the successful and fascinating 6-part Science Channel series, spanning over 20 different instances of anomalous, curious or unexplained images on earth, as captured by satellite images from space. I present as a subject area expert in each episode, and attempt to make sense of the evocative images while addressing such questions as, are they for real? Are they man made or are they natural? What do they truly reveal? I don’t think I have ever had as much fun, or spoken about such a wide a range of fresh new subjects, in my life. Look for What on Earth on the Science Channel, in 2016. This highly successful show enters its third season, and this six-part series, like the others, is directed by Bruce Burgess for the UK’s Yesterday Channel. As in Forbidden History, Series 1 (2013) and Series 2 (2014), I appear as a subject-area enthusiast in support of the series host, the engaging English television and radio presenter, Jamie Theakston. The topics covered in FH3 are even more provocative and fascinating than ever. 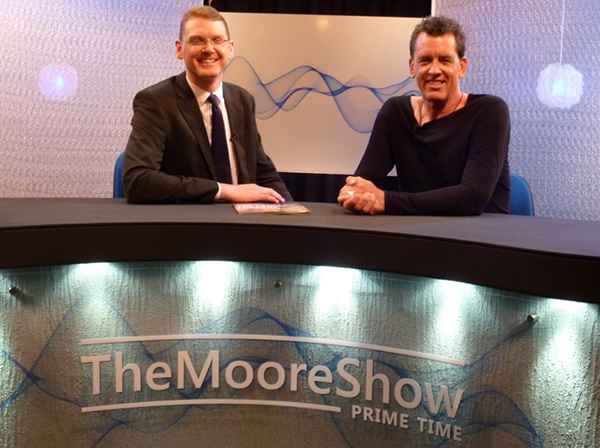 Sadly, the content is confidential until the show airs later in 2015, on UK Yesterday and in the United States on AHC. This 6-part series for the Discovery Channel was one of the most exciting shoots I have participated in for some time. Sadly, although understandably, the content of the show remains confidential until it airs in the US in 2016. 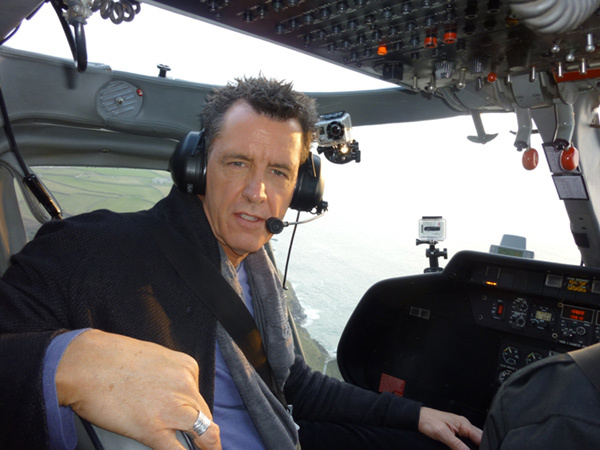 I participate as a subject area expert in 4 episodes, and filmed on location in Paris and in the South of France. As more details become available, I will be sure to let you know. 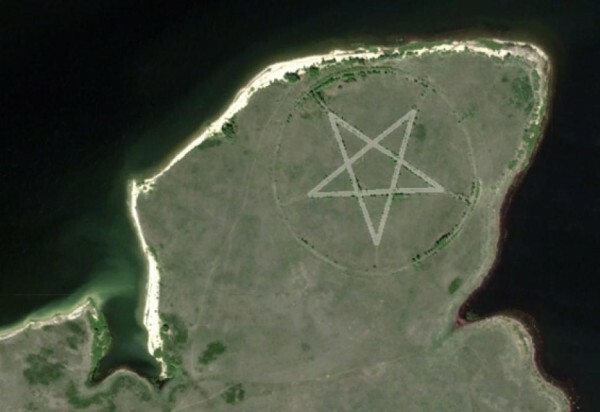 This fascinating 6-part series spans over 20 different instances of anomalous, curious or unexplained images on earth, as captured by satellite images from space. I present as subject area expert in each episode, and attempt to make sense of the evocative images while addressing such questions as, are they for real? Are they man made or are they natural? What do they truly reveal? I don’t think I have ever had as much fun, or spoken about such a wide a range of fresh new subjects, in my life. Look for What on Earth on the Science Channel, showing now. 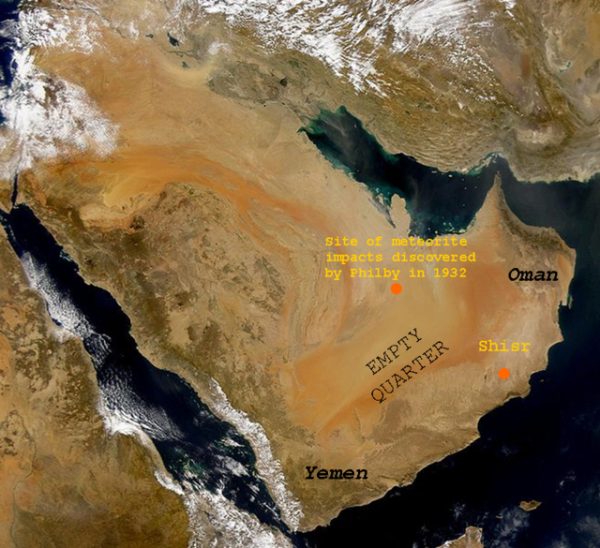 What can we learn about history and life by studying images from space such as this one? This four-part series was directed by Bruce Burgess for the UK’s Yesterday Channel. 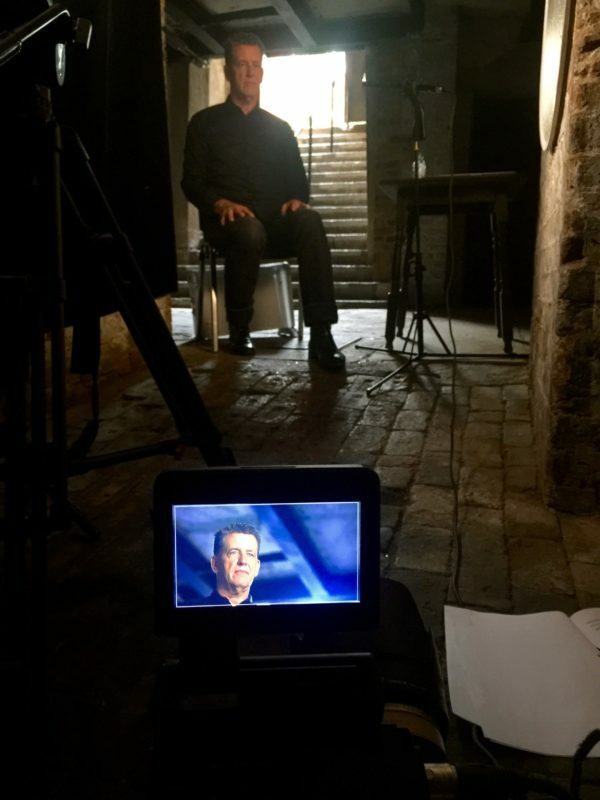 The documentary examines the brutal and tragic exterminations, called ‘Inquisitions’, of the Cathars, Spanish Jews, Tudor heretics and Salem witches. Each was a form of genocide and each changed the course of history. Sadly, genocide such as this continues to this day, and highlighting this fact was the reason I was so drawn to the project. Should episodes become available on YouTube, or in other regions, I will post them here. This six-part series was directed by Bruce Burgess for the UK’s Yesterday Channel. Like Forbidden History, Series 1 (2013), I appear as a subject-area enthusiast in support of the series host, the engaging English television and radio presenter, Jamie Theakston. The scope of the series encapsulates many of the subjects that I have researched for years, so I was thrilled to be part of it. 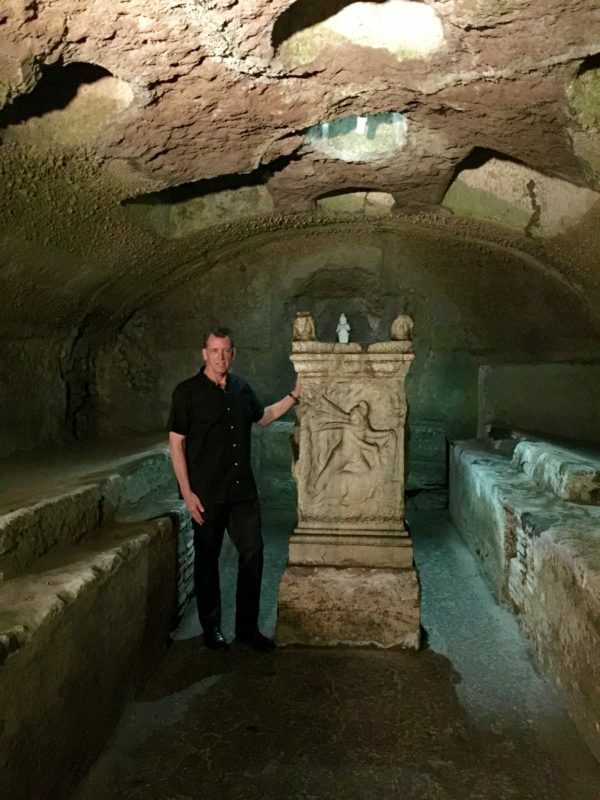 I also enjoyed participating with Jamie, on location, for the Oracle of the Dead episode, where we go in search of the real, historical Hades of Greek mythology. Episodes include: Nikola Tesla; The Illuminati; Nazi UFOs; The Lost City of Petra; The Oracle of the Dead and The Real Holy Grail. Should episodes become available on YouTube, or in other regions, I will post them here. 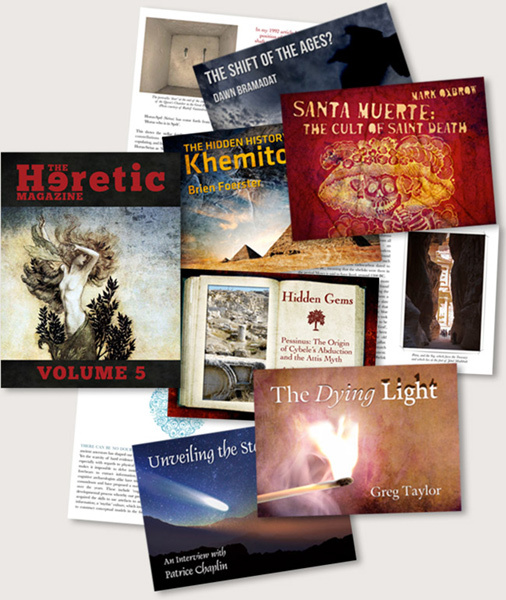 I gravitate towards all things esoteric. Fortunately, so does the Forbidden History Director, Bruce Burgess. Although we had previously worked on another documentary (still in post-production), this was our first real project together. I appear as a subject-area enthusiast in all six of the episodes, which are hosted by the amiable English television and radio presenter, Jamie Theakston. We shot my pieces to camera in my then home, in London’s Shoreditch, and I am quite pleased with how it all came out. 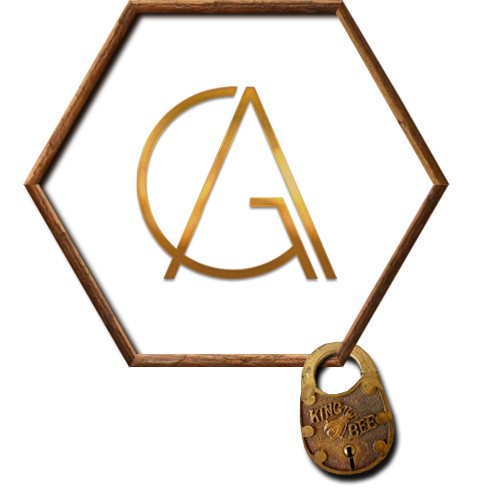 Series I included the following episodes: The Bloodline of Christ, The Secrets of the Alchemists, The Third Secret of Fatima, The Mystery of the Giants, The Lost Treasures of the Templars and The Treasure of Solomon. I have always been fascinated by the remarkable story of Rogelio Roxas, the locksmith, turned treasure hunter, and his discovery of what was arguably the greatest lost treasure of the last 100 years: war loot, amassed by Japanese forces and hidden in the Philippines during the Second World War. 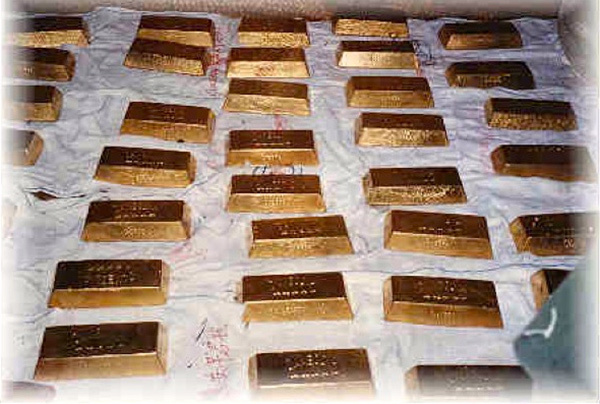 Roxas’ extraordinary discovery was stolen by the former Philippine president, Ferdinand Marcos, contributing to the ruler’s wealth – and corruption. Look for ‘Yamashita’ Gold, to which I contribute as a subject-area enthusiast, worldwide, on the History and Discovery channels. I love a story that recalls a remarkable and little known period in history. 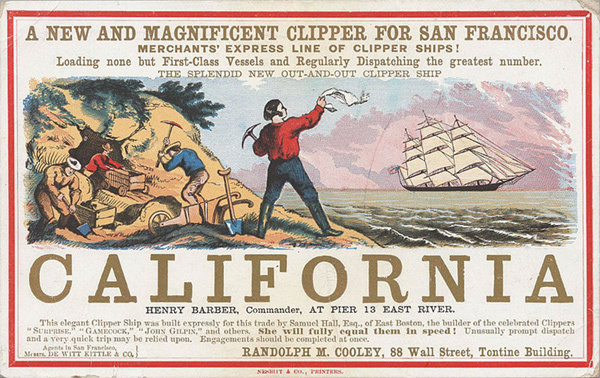 Such is the tale of Charley Clusker, a treasure hunter extraordinaire who participated in the California Gold Rush, and later quested in the pursuit of a lost treasure ship in the Mojave Desert. Look for Charley Clusker and the Lost Ship of the Mojave Desert, to which I contribute as a subject-area enthusiast, worldwide, on the History and Discovery channels. As I live in Istanbul, I was delighted to participate in an episode of the popular television series about the unconventional, but extremely effective, force of elite Viking warriors who protected the Byzantine emperors. Inexplicably, the violent, Pagan-worshipping guards of the emperors of Constantinople were the most effective warriors of their, or possibly any other, era. This episode debuted on the UK’s Yesterday Channel and is being distributed globally on similar stations. Few eras in modern times were as important, and affecting, as the closing months of the Second World War. Behind the scenes, the Germans had stockpiled an astonishing collection of esoteric artifacts; objects that reflected the regime’s obsession with the occult and their perceived Aryan past. I was pleased to have had the opportunity to present the fascinating tale of one such artifact, the Chiemsee Cauldron, and the tangled web of intrigue that its discovery exposed. I write about the peculiar story in my article, The Nazi Occult Agenda. Arthur is one of the most enduring figures in history, and I was elated to present in this superb investigation of the legendary King of Britain. I write about the memorable episode here (link to our newly added article on this subject), where I express my views more freely – that the story we all know and love is an archetype and not an historical account of any particular individual. 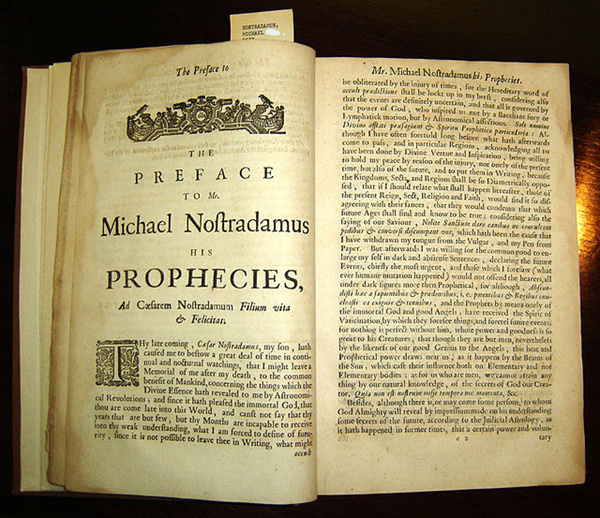 Directed by James Earnshaw and written by Brian Allan, this documentary explores the truth concealed in the quatrains of Nostradamus, and how we have interpreted them. I present by reading from the quatrains and offering narration on their possible meaning. The documentary is available on Amazon here: Amazon US, Amazon UK. 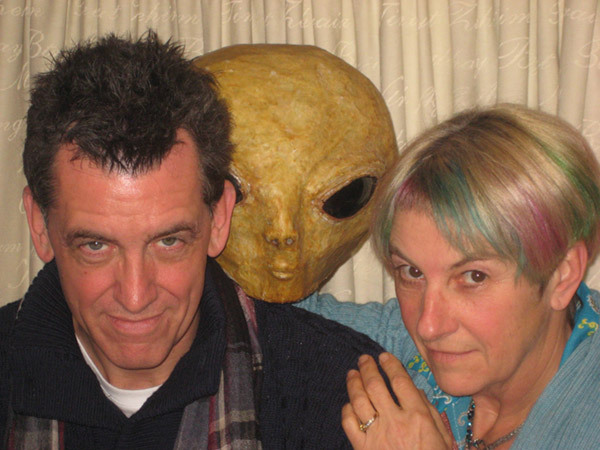 In The Alien Within I have written, and presented, a documentary about the Alien Abduction phenomenon that challenges conventional beliefs and examines the possibility that the experiences of those who have been visited or abducted by aliens might not be extra-terrestrial in nature, but rather inter-terrestrial. The impressive cast includes Nick Pope, Colin Wilson, Lynn Picknett, Susan Blackmore, Brigitte Barclay and Marc Gordon Hendley Bell. 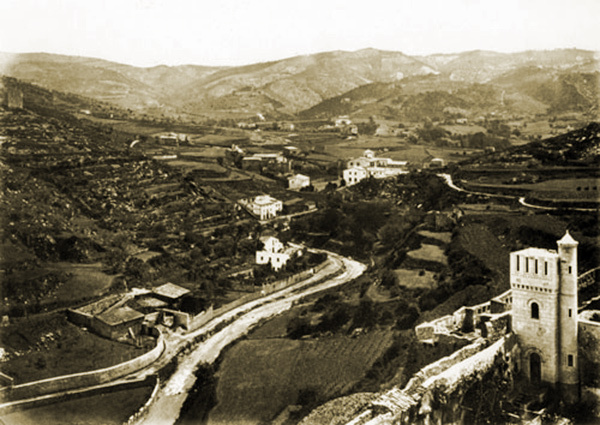 This independent documentary was written by my friend, Carrie Kirkpatrick, and was inspired by my friend, Patrice Chaplin, whose book, City of Secrets, had just revealed an alleged connection between Rennes-le-Château and Girona in Catalonia, Spain. In fact, this marked my first appearance in a documentary. As a full time businessman, I struggle to complete some of my personal projects. This is especially true of my book, The Hidden Hive of History, which continues to be a work in progress until I can allocate the time to write it all down. 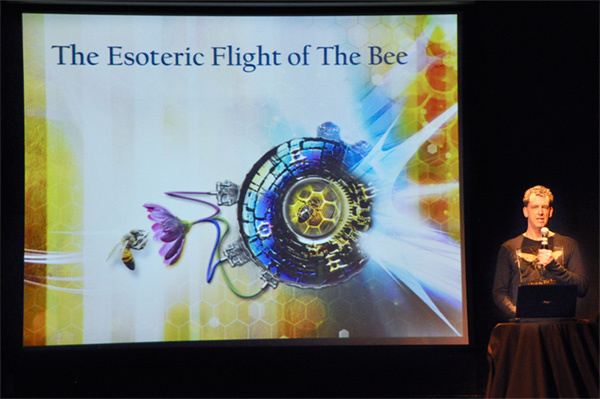 I do, however, remain an active presenter on the subject of the lost tradition of bee-goddess veneration, and various presentations and interviews have been recorded that provide some insight into my research. 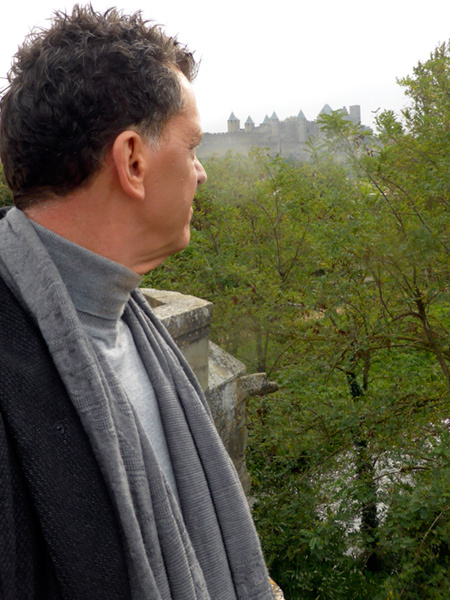 Between June 2007 and August 2009 my friends, Corjan de Raaf and Philip Coppens, and I collaborated on an internet radio programme, in which we interviewed a wide variety of Rennes-le-Château-related subject-area experts. The popular show provided listeners with a mixture of perspectives, and accents. The archive of interviews is kindly hosted by Corjan, on his outstanding Rennes-le-Château website. Rest in peace, Philip. 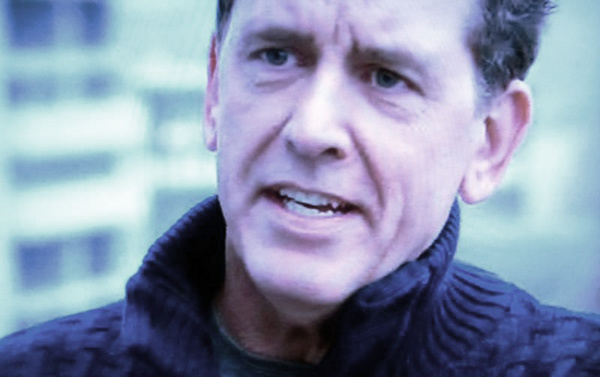 I have dabbled in movies and have starred in one film, The Stone (2010), and taken a supporting role in another, Paranormal Haunting: The Curse of the Blue Moon Inn. 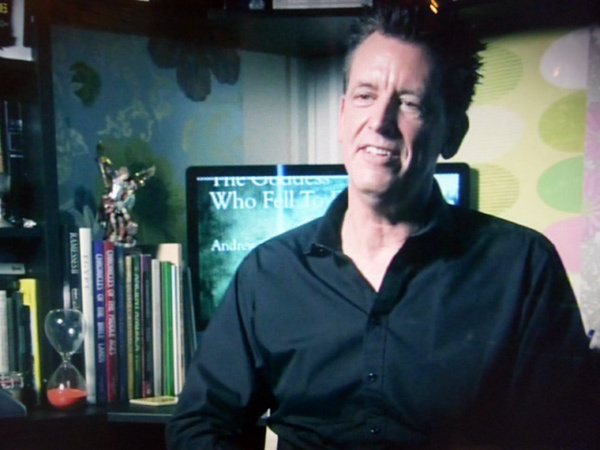 If truth be known, I never dreamed I would act in a film, and I am probably taking liberties by suggesting that my performances constitute acting, but my association with Philip Gardiner on his then TV show, Gardiner’s World, where I occasionally presented, led to my decision to give it a go. To my surprise, I loved the process, the discipline and the creativity, and hope to do more acting in the future. So, if there are any casting agents out there, you know where to find me. 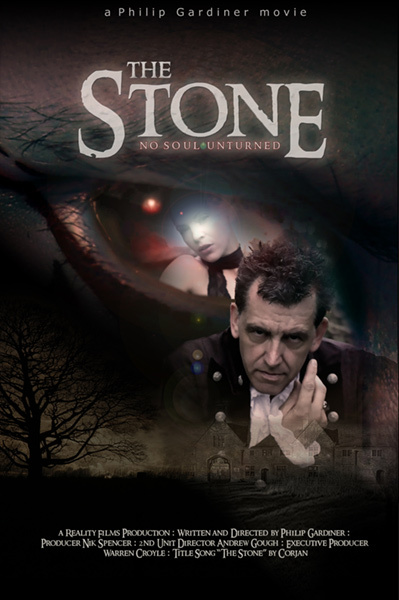 Hot on the heels of The Stone, I took a part in the director’s next film, another supernatural thriller, which, like The Stone, was set in the English countryside and loosely based on local legends. This time I played a Professor of Astronomy from North Wales, who was dating his significantly younger student. I wondered if the director was trying to tell me something. What sticks in my mind are the surreal dream sequences where I am terrorised by women, as a revenge for my chauvinistic behaviour. Oh, and my death, as usual, is epic. At the risk of spoiling the plot, you can see me dripping blood onto the camera lens in the film’s trailer. Not an auspicious beginning to a film career? Is this how Vincent Price began? I wonder.